Another week’s gone by, folks. Today marks the one month anniversary since our little site entered public under-construction status. Well, let’s start reading, shall we? Portal 2: New Media and Info! GamesCom may be over, but Valve still has plenty of stuff to keep us alive while we wait for February 9th. They released some high-resolution screenshots on their FTP, which we can’t access, and all queries on how to access it went unanswered, as if Valve’s public FTP were some sort of major secret. Major secrets aside, they also released HD versions of the GamesCom demos, and some information on the Coop campaign. Portal 2 will be at PAX, so stick with us for all the info and media released there. Left 4 Dead: The Sacrifice DLC! Valve announced their new DLC, The Sacrifice this week. The Sacrifice is a campaign that can be played on both L4D1 and L4D2. The L4D2 version will feature all the new monsters, weapons and items, and bundled with it will be a brand new L4D2 version of the classic No Mercy. In The Sacrifice, you will play as the L4D1 survivors, and at the end, you will have to choose which survivor will be sacrificed for the others to survive. Valve are also releasing a 190-page digital comic that will lead up to The Sacrifice, and show Valve’s version of the events. Yes, Wilson Chronicles is alive on Source, and a demo has been released. Apparently, it’s great! And no, I don’t have any idea why there’s a 2 there either. Pinky’s LG dirigible rained fiery death down on some tiny Valve-related news back on the 22nd. Check his article out. Overwatch, the ambitious FPS/RTS hybrid mod has finally been released. For an early release, it’s pretty… decent, I guess, but this is the equivalent of a playable beta, and it WILL be updated using the built-in updater utility, so keep playing! Let it be said that Vic hates horror mods. Not because he’s scared of them, but because they all do the same goddamn thing. Now we can all enjoy jumping in fear when some OTHER dead girl jumps on your monitor! Of course, you could just sit in front of a computer and spam screamers over and over again, but apparently these mods have some sort of sentimental value or something. Still, check out the newly released Nightmare House 2 horror mod. Adding new game modes and new Promotion ranks, this Alien Swarm update adds a pinch of life back into the game. The game’s great, and the new game modes are worth playing, so check the game out. I mean, it’s free and all. We here at LambdaGeneration are all homeless, and living off cardboard box soup. This is because no one wants to hire people whose only talent is something even a kindergarden kid can do. Hey, at least we have Worms items. Portal 2: Last GamesCom Media! Check out these high-resolution screenshots, video, and an extended Erik Wolpaw interview. This had to happen sometime, and we’re glad it happened with Valve’s Portal. Do not fret, my friends. All is well. It’s just school. Last week was a return of Last Man on Earth. Isn’t everyone getting tired of all this Left 4 Dead stuff? One day in the far future, I’ll probably snap, go wacky and replace all mentions of L4D with Episode Three or something. Valve were making a… I’m sorry, I just can’t write it. This is how it’s done, game movie directors. Wacky competitive multiplayer, to be precise. Today, we have no Bonus Snippets for you. I greatly apologize. You may also notice that there never was a new Resistance Bulletin article this week. Remember folks, there’s a ton of work involved in writing on the site, especially with school on the horizon. We’ll never say never, but don’t hold your breath for a new one coming too soon. As for our Steam Game Releases, they’re going through a little rethinking. They may be changed into “an article every month”, but Pinky’s having that big old problem we prefer to call “school”, so they’re on a hiatus as well. That’s the end of this Roundup, friends. Thanks for reading, and see ya next week with the next one. Yep, Breen, you’re looking good for your age. This has been such a jam-packed week for Valve news! 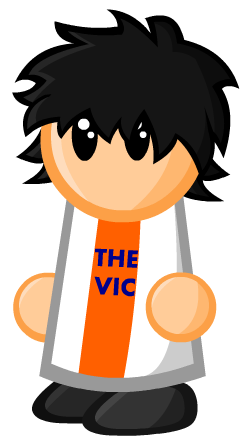 Thanks for the roundup Vic!